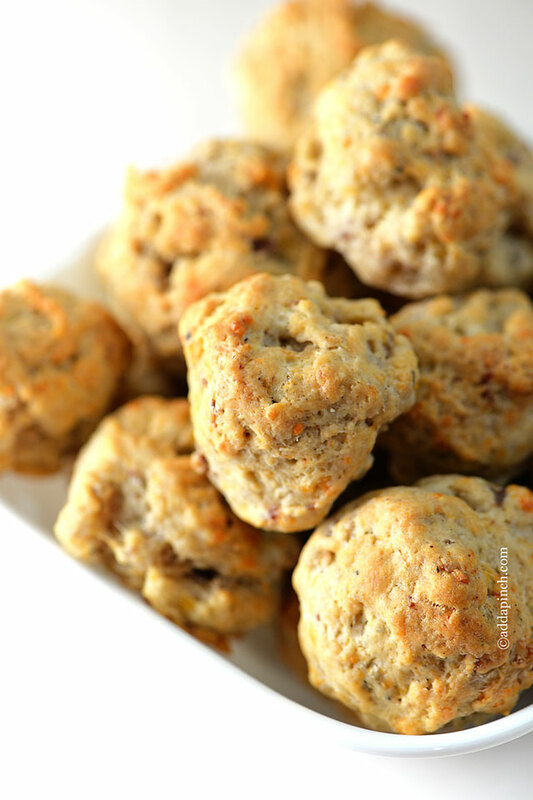 Sausage balls have always been a favorite, bite-sized treat. 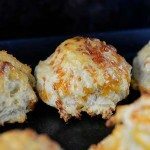 I remember that Mama would make them for so many special family occasions, like Christmas morning, New Year’s Eve snacks to help us make it to midnight, and so many more. 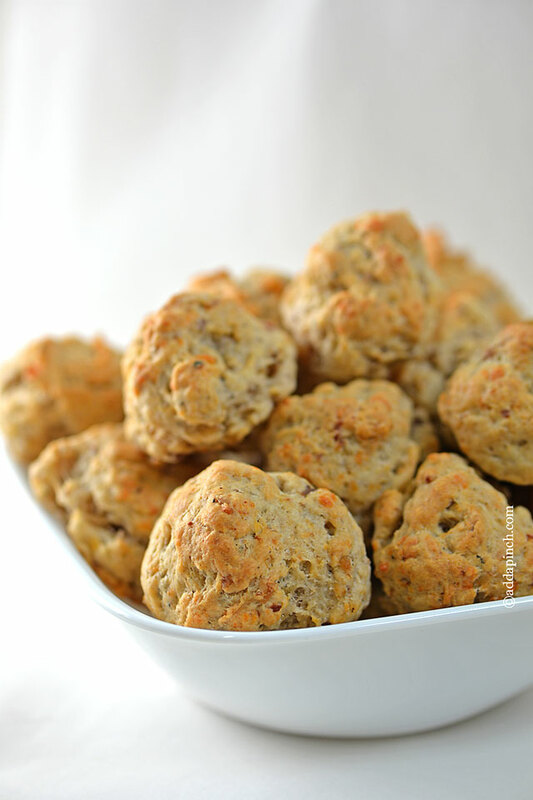 And now, of course, I make these oh so simple little sausage balls for my family, too. I’d actually forgotten about them after I was married until one Christmas morning we visited my husband’s brother’s family early on Christmas morning to see what Santa had left for their three children. Having no children of our own at that point, we would wake up early on Christmas morning, open our gifts, and hurry to make it to visit with their family for the morning. On this particular Christmas morning, my sister-in-law disappeared to the kitchen for a little bit and then returned with a huge tray filled with sausage balls. 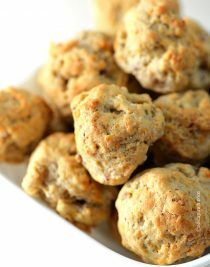 I felt like a little girl again on Christmas morning just smelling those delicious little sausage balls as she walked into the room! The memories just flooded back. Isn’t it funny how something so simple can bring back so many memories? Since that day, I’ve certainly not forgotten about them. Like my Mama, they always show up at Christmas and absolutely help us make it to ring in the new year. Here’s my recipe for sausage balls. 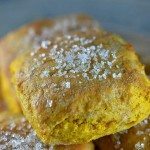 This recipe does not use a baking mix, but uses flour and other ingredients you’ll most likely have on hand in your pantry and refrigerator. Hope you love them as much as my family does! 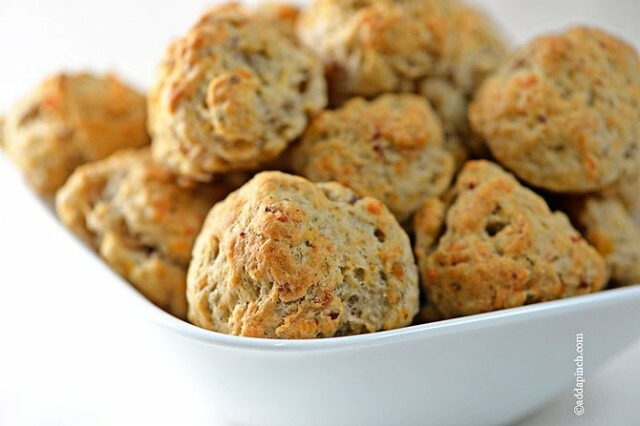 Sausage Balls make a great addition to breakfast, brunch or as an appetizer or snack! 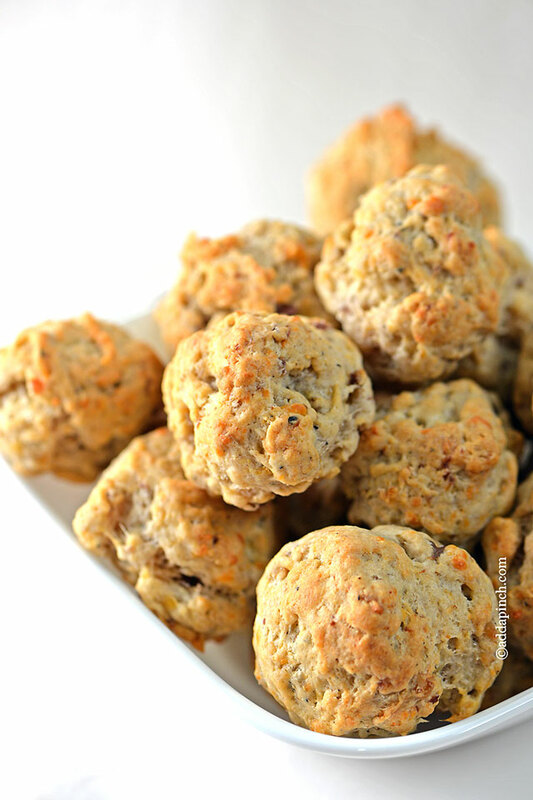 This recipe for sausage balls is easy, yet perfect for entertaining, too. Preheat oven to 350º F. Line baking sheet pans with parchment paper. Mix together all ingredients in a large bowl until just well-combined. Scoop mixture into tablespoon-sized balls with a scoop or using two spoons. 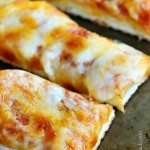 Roll together between your hands and place onto baking sheets. Bake 20 minutes or until golden brown and cook throughout. Make-Ahead Instructions: Prepare up to baking, cover tightly with aluminum foil and place in refrigerator overnight, up to 24 hours, before baking. I’m so glad you posted this recipe. 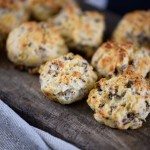 I have not made these in forever and just the other day I was thinking about hunting up a recipe for these. Do these freeze very well? Can they be made with all-purpose flour? I hate to buy self-rising flour for just one recipe. You sure can! 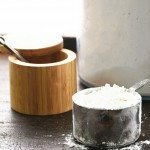 I’ve shared how to make your own self-rising flour before that you can use. Um… I think the term “Amazzz-balls!” is appropriate here. Lol! I have just started to cook and don’t want to miss something. I take it that the sausage cut up or crumbled prior to the mixing. Is it cooked before hand as well? BTW, the coconut cream pie was a hit. The sausage is not cooked and you’ll just crumble it and mix with the other ingredients. So glad you loved the coconut cream pie. It’s a favorite here, too! 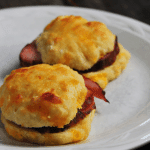 We use the Bisquick (2 & 3/4 Cups) with 1lb hot sausage, 8 oz cheddar 8 oz monterray jack w/jalapenas yumm. Always looking for a new way…gotta try this one. Hi. I’m going to make these for a church social tomorrow. I’m a little nervous about using uncooked sausage. Do you by chance know what the internal temperature should be? Thank you. What if my sausage is already cooked? Thank you!